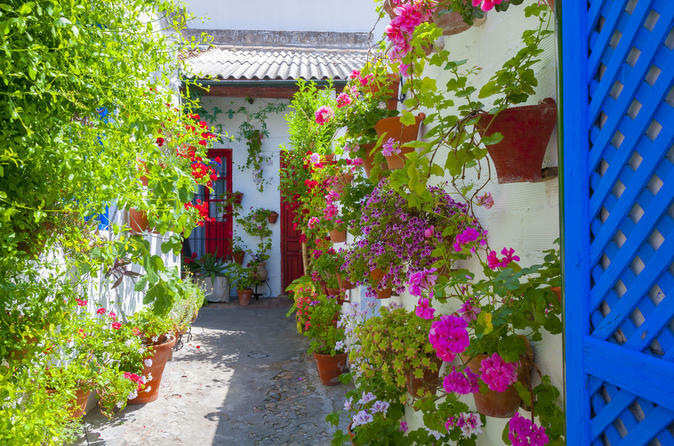 Immerse yourself in the timeless traditions of Spain’s Andalusia and Extremadura region during this 4-day, 3-night guided tour. Discover the southern Spanish cities of Caceres, Córdoba and Seville during your trip, enjoying a selection of guided tours. Among the many highlights are a visit to Córdoba’s ancient Roman bridge, a stop at Seville’s massive cathedral and Caceres to know its Plaza Mayor and to walk through the old city and its famous medieval quarter. A guide, accommodations, entrance fees, some meals and coach transport are covered. Departure from our bus terminal at 8:00 a.m. towards the region of Extremadura and arrival to Caceres. to Andalucia and arrival to Sevilla. Dinner and accommodations. Royal Alcazar Palace. Afternoon at leisure. and continue for visiting the famous Mosque/Cathedral. Afternoon at leisure. Dinner and accommodations. Breakfast in the hotel. Free time to continue visiting and discovering by your own this important and monumental city. In the late afternoon transfer on your own to the train station to catch the train AVE back to Madrid.